Mass of the analyzer: not more than 0.5 kg. The maximum power consumption is not more than 15 W.
Power supply, mode control and image transmission to the PC is via the USB port. Time of going into operating mode: not more than 2 min. The analyzer ensures a 8-hour operation of intermittent cycle: 30-minute operation and 10-minute break, maintaining technical characteristics. 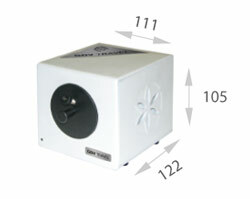 The analyzer must be capable to work with power supply from the USB port of PC. Mean time between failures: not more than 4000 hours. Lifetime: not more than 4 years.